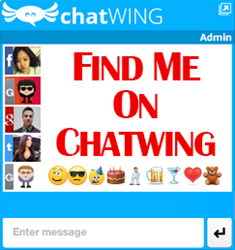 Chatwing’s redesigned site comes with new features for its chat software. 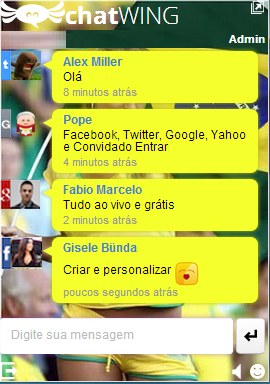 Now, Chatwing users can expect an easier and more efficient way to customize their chatrooms. Aside from a more vibrant design and color, Chatwing’s Chat Software Dashboard page has been made to be more user friendly compared to the previous one so that new users won’t be easily overwhelmed by its numerous customization options. There are some changes in the groupings of the options and now most of them can now be found on the two major tabs – Chatbox and Message. There are newly added features and some have also been merged with the others. An example of this is the Subheader feature which has been merged with the Logo feature. The mechanics of customizing the chat room software haven’t changed. Users will mostly use click and drag actions during the customization course with a few exceptions that will require them to use URLs. After the modification process, the users will continue to the embedding section which will finally prompt them to either embed the chatbox they created or use it directly. The processes for these methods are still the same with the addition of some pointers that will help the users with the embedding process. Though it was just released recently, Chatwing website chat app developers have been planning to apply the features in the Dashboard to its Android app. Through this, the app will surly provide a better chatting experience to its users. They can expect even more changes to be implemented this year.